Silicon Valley angel investor for a hugely disruptive robotics company, anesthesiologist, and a major and flight surgeon in the Air Force Reserve… Sami Zamzam does it all. Episode #004 features this fascinating guest whom I’ve known for a long time as a Hughes Capital investor, but whom I’ve only recently gotten to know on a more personal level. And believe me when I tell you that there is a lot to know about and learn from this driven, multifaceted guy! A Michigan-based anesthesiologist, Sami decided to join the US Air Force Reserve at the age of 40, where he is now a major and a flight surgeon. Since joining the USAF Reserve, he has been traveling the world doctoring up sick and injured members of the US military as they are being transported back home for treatment. He also does regular flybys on the Russian border. As far as investing goes, Sami is a big believer in real estate investments, and is an angel investor for a tech startup called “Knightscope” in Silicon Valley, which uses ADM (Autonomous Data Machines) to predict and prevent crime. I kid you not, these futuristic robots look like they came straight out of a Star Wars movie. We share some very similar opinions about the value of non-traditional real estate investments too, which we talk about in this interview. We also discuss Honor Flight, a nonprofit that helps WWII, Korean, and Vietnam veterans travel to Washington D.C. to see their own war memorials along with other veterans who understand the deep emotional ties of serving in combat. On Sept 27th, 2017, Hughes Capital hosted an event honoring our veterans and showcasing Honor Flight. Click Here to see photos from this special night of reflection and recognition. 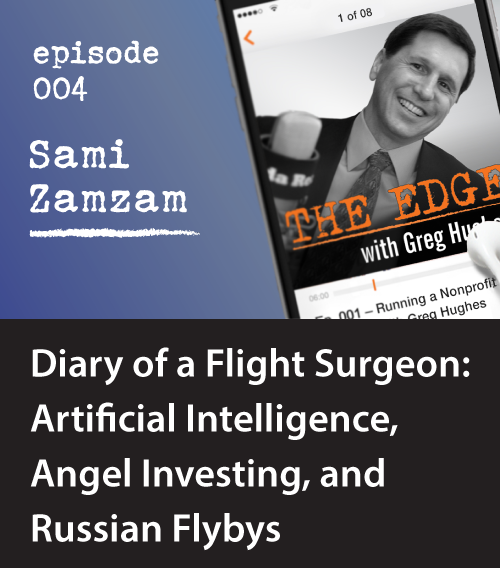 Silicon Valley angel investor for a hugely disruptive robotics company, anesthesiologist, and a major and flight surgeon in the Air Force Reserve…Sami Zamzam does it all. Episode #004 features this fascinating guest whom I’ve known for a long time as a Hughes Capital investor, but whom I’ve only recently gotten to know on a more personal level. And believe me when I tell you that there is a lot to know about and learn from this driven, multifaceted guy! We also discuss Honor Flight, a nonprofit that helps WWII, Korean, and Vietnam veterans travel to Washington D.C. to see their own war memorials along with other veterans who understand the deep emotional ties of serving in combat. Hughes Capital is hosting an event honoring our veterans and showcasing Honor Flight on Sept 27th. Join us in this special night of reflection and recognition. RSVP Here. The incredible efficiency with which the Air Force Reserve is run and what lessons the US government could learn from it. How Honor Flight, a nonprofit created to honor America’s veterans, is helping WWII, Korean, and Vietnam veterans visit their own war memorials in Washington D.C.
Sami Zamzam is an Anesthesiologist with Anesthesia Practice Consultants, PC. 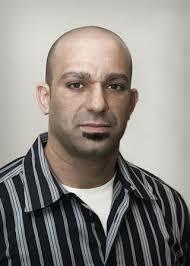 He completed his education at Ross University and University of Michigan Medical Center in Ann Arbor. At the age of 40, the Michigan-based doctor decided to join the Air Force Reserve as a major and a flight surgeon and he has been enjoying traveling the world and serving his country ever since. Sami is also a long-time investor with Hughes Private Capital, an avid real estate investor, and recently became an angel investor for a tech company in Silicon Valley.